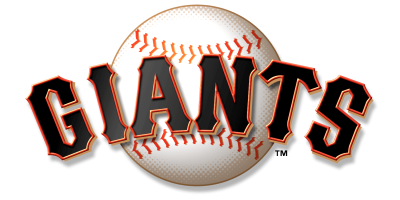 The Giants will remain in the lead for the second wild card for one more day. When the St. Louis Cardinals beat the Reds in walkoff fashion, San Francisco was down two runs. They came back, though, and hiked all over the Colorado Rockies, offering a 7-2 shellacking. The Giants pulled this one out in a way they know best: productive outs, lucky bunts and quality pitching, though a sixth inning rally certainly put them over the top. Nolan Arenado and the heart of the Rockies lineup pounced on him early, when his command was shaky and his velocity looked lower than usual. Arenado knocked his 24th RBI against the Giants (for a second straight season) with a double down the third base line to put Colorado up a run in the first. David Dahl tripled to give them their pair. Cueto said he’s ready, with a starter yet to be determined Saturday, to give a little more than if need be. He also gave a little more with the bat Thursday. In the sixth, faced with one out and two runners on, Cueto laid down a perfect bunt in no-mans land. Arenado’s errant throw to first let Angel Pagan and Joe Panik score some insurance runs and Cueto chugged to second base. The Giants used a flurry of productive outs and bunts to get those seven runs. Cueto’s bunt and Panik’s game-tying bloop in the fourth were the only hits to produce runs. Brandon Crawford put the Giants on the board first with a ground. Conor Gillaspie provided the lead with a sacrifice fly and Cueto’s base-clearing bunt scored two off Arenado’s error. A play that stirred the baseball world into a tizzy just didn’t phase the Giants too much today, they’d just won their second home series of the second half. They stay sandwiched between the New York Mets and the Cardinals in the Wild Card race by one-game on either end with just one more series, against the Los Angeles Dodgers, to go.